Summer is a great time of year for fresh fruit and vegetable recipes. Just take a stroll to your garden or a nice walk around a farmers market and you can find all sorts of yummy fresh produce. 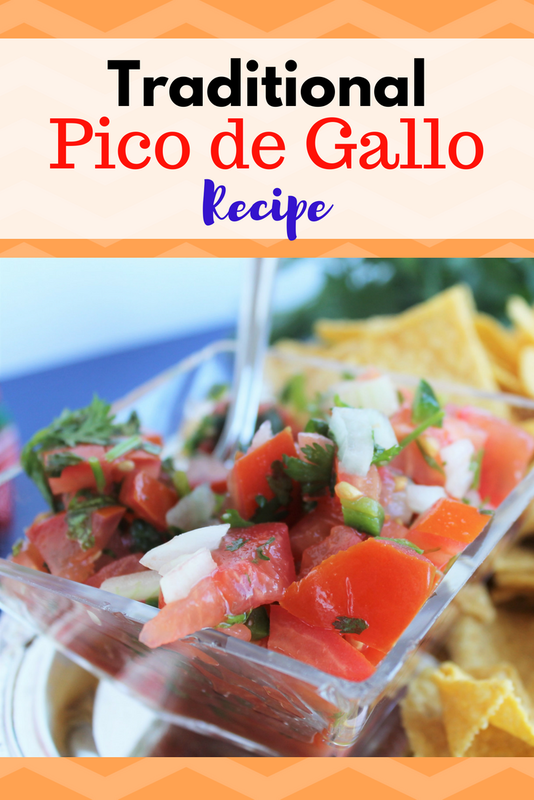 One of the easiest fresh produce recipes we love to make all summer and fall is Pico de Gallo. It is such a quick and easy recipe plus, the ingredients can be grown right in your own backyard without much of a fuss. Start with super red and juicy tomatoes. You can use whatever kind of red tomato that you want. But I suggest a nice big early girl tomato or a beefsteak tomato. They get nice and big and will make a lot of pico de gallo for your group. Make sure they are nice and ripe for the best flavor and juices. Next, you'll chop up an onion. You can use either a yellow or purple onion. I like yellow onions because they have a strong onion flavor. However, a nice purple onion will give it great color and good onion flavor. The jalapeno is what will add the spice. You can add an entire jalapeno or just half depending how spicy you would like it. Just remember that the seeds of the jalapeno are were a LOT of the spiciness comes from. So if you want lots of spice, add seeds. If you don't, make sure to throw the seeds away. And remember to wash your hands well or the juice from the jalapeno can burn your skin, lips and eyes. Lastly, chop up the freshest cilantro from your herb garden and mince a garlic clove or two. Mix all these yummy veggies together and add a dash of salt and squeeze some lime juice over the top. Doesn't this just sound so yummy?! Once you have your easy Pico de Gallo all made, serve it with your favorite tortilla chip or over a taco or burrito. Chop all vegetables into bite size pieces or smaller. Mix vegetables well in a large bowl. Squeeze lime juice over the top of the vegetables. Mix well. Sprinkle with a dash of salt. Serve with tortilla chips or over tacos and burritos.